Hawaii Oceanic Technology, Inc. has been issued permit HI-0028140 in accordance with the provisions of the Clean Water Act, Hawaii Revised Statutes, Chapter 342D; and Hawaii Administrative Rules as administered by the Hawaii State Department of Health (DOH). This comprehensive process took the company more than a year of effort and required a thorough public review and response to comments from the public and several NGOs. The company has spent more than five years and $2 million complying with permitting requirements imposed by the State of Hawaii and the U.S. Federal Government. The company prepared a full Environmental Impact Statement and Cultural Assessment to obtain a Conservation District Use Permit, required to get its 247 acre ocean lease, which was granted October 2010. Additional Federal permits included a Federal Consistency Review permit, the EPA/NPDES permit and an Army Corp Section 10 permit that has been in process since September 2010. The Army Corp permit is the last permit required before the company can execute its business plan. farming in its 200 mile Exclusive Economic Zone. 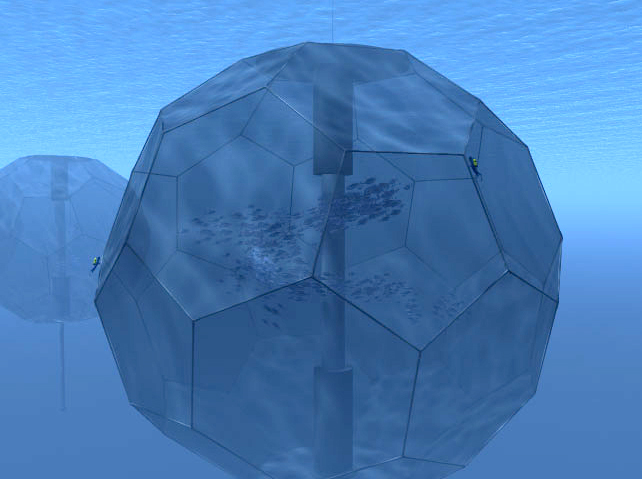 Hawaii is one of a very few states that allows the lease of an ocean column for mariculture. According to the United Nations Food Agriculture Organization, half of all seafood consumed in the world is already being farmed. The world’s oceans have reached maximum sustainable yield and some species of tunas and others fish are seriously distressed in the wild with some facing extinction. Scientists estimate that farmed seafood production must be increased by another 62 million tons annually over the next 20 years in order to meet world appetite for this healthy source of protein.